After releases on Kai Alcé's NDATL Muzik or Patrice Scotts's Sistrum Recordings, Javonntte delivers four excellent classic pumping house tracks on Scenario. Two original tracks by label head Sebo K, including remixes by D'julz and DJ Honesty. Vinyl only; Hand-stamped white label. Three original tracks by Luhk, including a remix by SoulPhiction. Vinyl only, hand-stamped, white label. 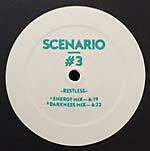 Remix session of the Scenario #5 release by DJ Honesty (SCENARIO 005EP, 2016), including Remixes by DJ Deep, Janeret, and label head Sebo K. Vinyl only; Hand-stamped white label. Vinyl only. From deep house to techno include tracks by Victor Stancov, Pola, Purveyors Of Fine Funk (aka Dan Curtin) and John Jastszebski. Vinyl only. Excellent four track EP by producer veteran DJ Honesty aka Honey Drop. 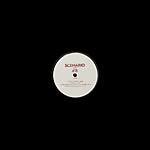 Two original tracks by Sebo K plus remixes by Diego Krause and Djebali of his tracks "A Journey" and "Nexus," which were originally released on the first release of his Scenario imprint. Vinyl only. Hand-stamped white label. A tribute to the early-'90s rave sound. Vinyl only. Vinyl only. Limited edition. Hand-stamped. Re-release of Ian Pooley's classic wildpitch-infected house bomb "Don't You Be Afraid." Originally released on Force Inc. US in 1995. Comes with a DJ-friendly edit by Pooley himself.